The Voice’s Five Craziest Moments: Miley Cyrus Disgraces Blake Shelton in a Dance-Off! 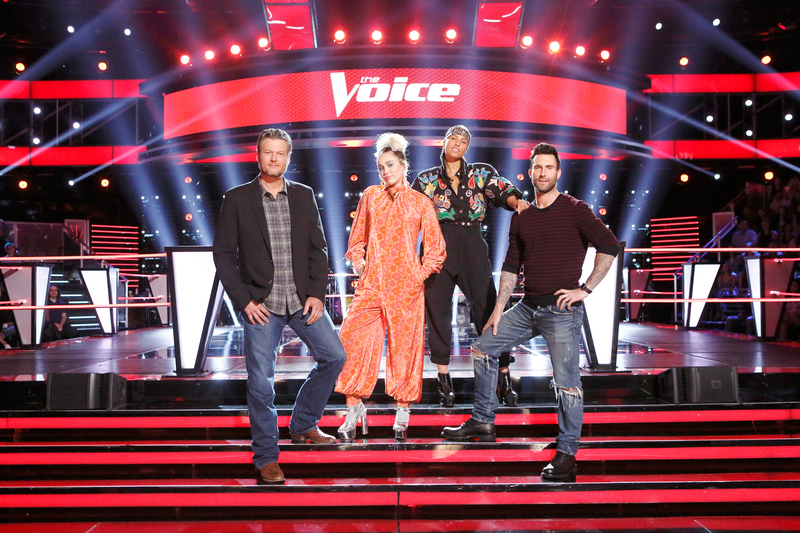 Knockout rounds are over, so the performers were gearing up for the live playoffs on The Voice&apos;s Tuesday, November 1, episode. We got a rundown of the best of the best, and Miley Cyrus confessed she was “definitely excited,” while Blake Shelton was busy trying to kiss Adam Levine and describing his emotions with emoticons. Never one to do understated style, Miley took it to a whole new level with a bright turquoise sweater studded with huge pearls, a matching turquoise hair band and, oh, yes, giant dangly turquoise-and-pink earrings. Bring back the fluffy cat earrings, Miley! Aw, we love it when they get all bromantic on us. They recently celebrated 10 years of marriage, but still so cute! We got a sneak peek of Miley backstage in a cute blue dress and pink heels doing some kind of line dancing-type moves. Turned out she was throwing down a country-style challenge to Blake. “Can you do this?” she asked him. Blake responded by hopping about vaguely, trying not to fall over. Miley: 1, Blake: 0. Tell Us: Who&apos;s the better dancer, Miley or Blake? A tough choice!